Turn Your Special Ceremonial Accessories into Mementos! Groundbreaking ceremonies and grand opening ceremonies call for going ‘all in’ with the decorations. Ribbon cuttings are especially desirable at both the events as they symbolize new beginnings and future hopes. 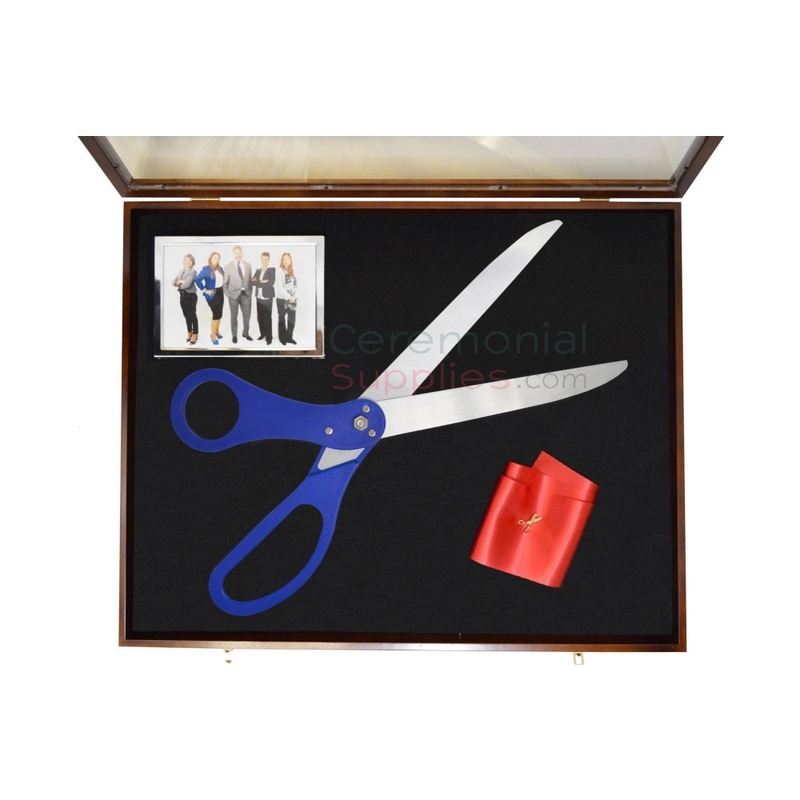 Accessories such as the Ceremonial Scissor Display Case for 25 Inch Scissors are just the item you need to commemorate the ceremony, post-ceremony. Designed to incorporate a 25 inch scissors and a picture, this display case will serve as the perfect souvenir once adorned with the scissors, a picture frame and a bit of the ribbon used in the ceremony. This display not only serves as an excellent personal souvenir, but also makes for an excellent item to gift your ceremony’s honorary attendees. For more variety in display cases, browse through the ceremonial accessories section on CeremonialSupplies.com.